I think everyone feels good when they give a gift, you get that little tingle of pleasure knowing something you bought or made has brought pleasure to someone else. What if you can get that tingle while also shining your halo a bit? What if your gift for a friend or family member could help a stranger? That feels good, right? In that vein, I’m highlighting a few products from companies that care. The purchase of these products allows you to give the gift of giving. One of my favorite travel bloggers has one incredible life-changing experience after another and yet she is so down-to-earth-generous and personable. I have read and followed Kirsten Alana for years and was green with envy (the good kind) when she went to Kenya on behalf of the Don’t Let Them Disappear campaign raising awareness for the plight of the African elephant. 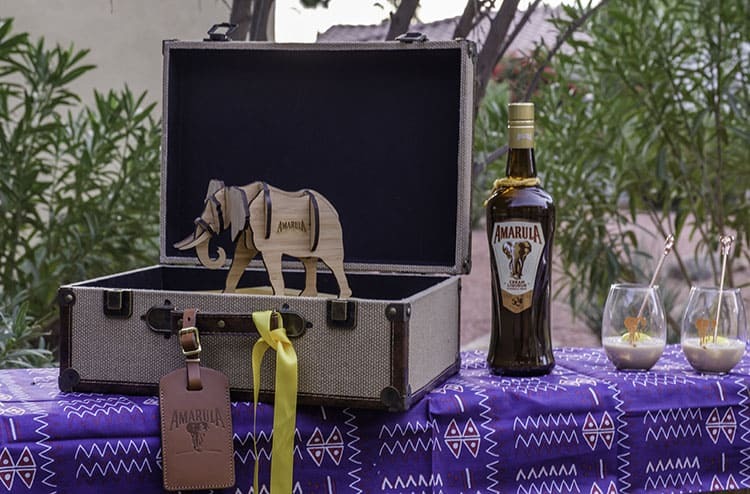 I was honored to have Amarula reach out with a beautiful gift that allowed us to experience a little bit of South Africa, an area of the world we have yet to see, but it’s on our bucket list. This delicious liquor is made from the fruit of the Marula tree, a fruit that the African elephants also enjoy. The fruit is distilled for 2-years in French oak (bien sûr!) barrels and then mixed with cream. Given that we are in the Phoenix area, we poured ours over ice but you can also add it to coffee. I’m pleased to share their efforts including donating portions of every bottle sold to help in the effort “Don’t Let Them Disappear” with WildlifeDIRECT. Consider trying and gifting this tasty liquor and help in the efforts to save the elephants. You can purchase it at your local wine and spirits store. Speaking of Kirsten, she is involved in another movement to spread kindness and love, not spew hate. 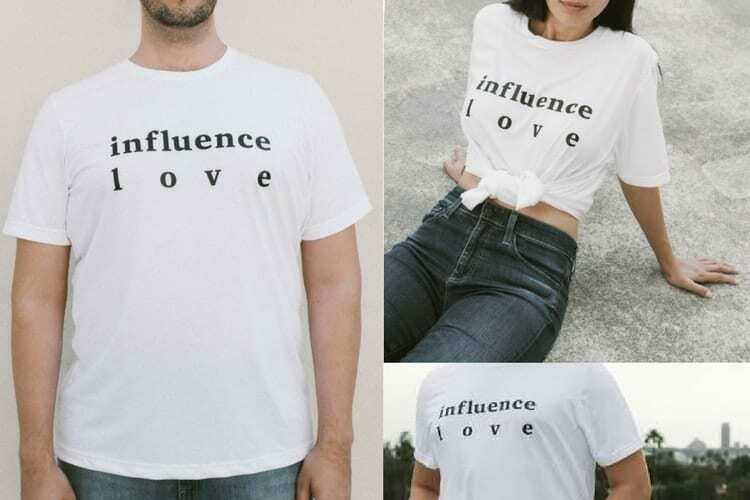 She has teamed up with Kyle Hjelmeseth, founder of God & Beauty to promote the Influence Love t-shirt. All proceeds benefit the Anti-Defamation League and their new program, Alliance Against Hate. In addition, you can also donate to the Red Cross for hurricane victims. I love this shirt and think you should buy them by the dozen! There are so many subscription gift boxes these days, I can’t go a week without reading about a new one. Food, clothing, make-up, you name it, there is a box for that. And while I love the idea of not shopping and things coming to me in the convenience of my own home. There is very little that I find interesting. Most boxes are mass-marketed items, a lot of which can be found in a store down the street. What is interesting about that? But what if you or I could get unique products from companies, all of whom somehow impact the world for the greater good? 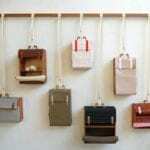 And more particularly focusing on socially conscious products for women? $7 dollars from every box goes to one of 7 charities and you get to pick the one that most resonates with you You get (or give) socially conscious lifestyle goods for women and the charities get much-needed donations. If this sounds like the place where you want to put your money, then I urge you to sign-up for Seventy’s quarterly CauseBox. It is $49.95 every three months. For that, you get an amazing box with $150+ worth of socially conscious products for women and your charity selection gets $7. If you aren’t interested in a subscription box you can still help. Buy a t-shirt or piece of jewelry for yourself and someone you love and Sevenly will donate $7. 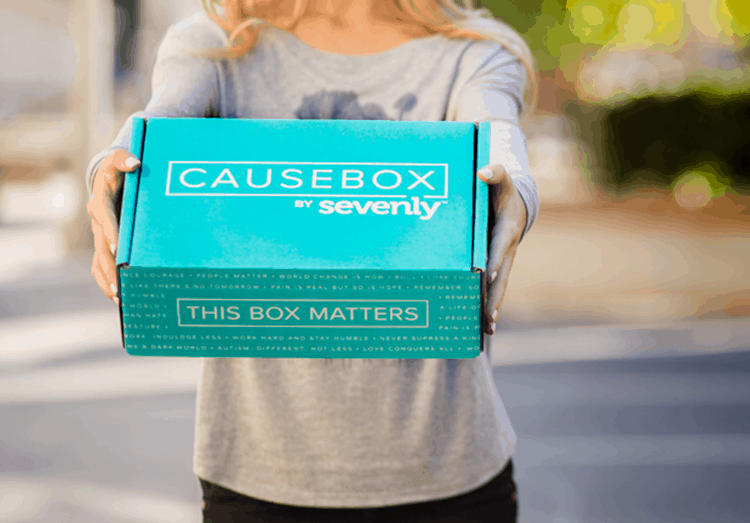 (Sevenly actually owns Causebox). You can shop by cause – I’m sure they have at least one cause that will appeal to you, from Human Trafficking to Vets and Military or Women’s Empowerment. You can also shop by product, I personally love their t-shirt collection. I have to add a product that will appeal to my francophile nature, lavender! 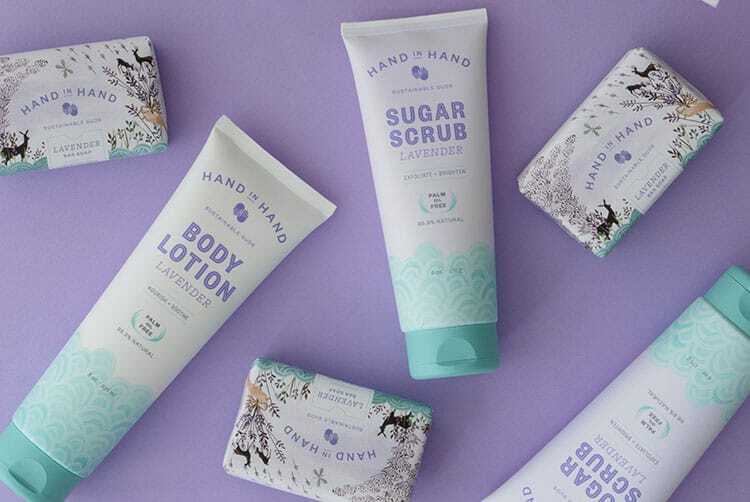 When you buy the Hand in Hand lavender soap bar, not only is it sustainably manufacture but the company will give a bar and a month of clean water to a community in need. The same goes for all the products soaps, lotions, and fragrances. Got a coffee nut in your house? Consider gifting them with environmentally-friendly sourced coffee made by Rockford, Illinois-based firefighters. 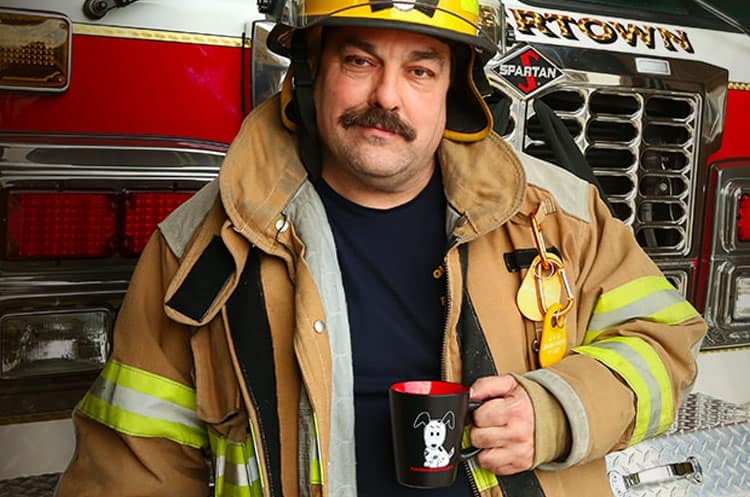 A portion of every Fire Dept Coffee sale goes to firefighters and veterans charities. They’ve got great flavors (I’ve tried the bourbon-infused one) and seasonal specialties. You know how much Mr. Misadventures and I love parks. Our year on the road in the RV brought a deeper appreciation of our national and state parks and we will do anything to help protect them. 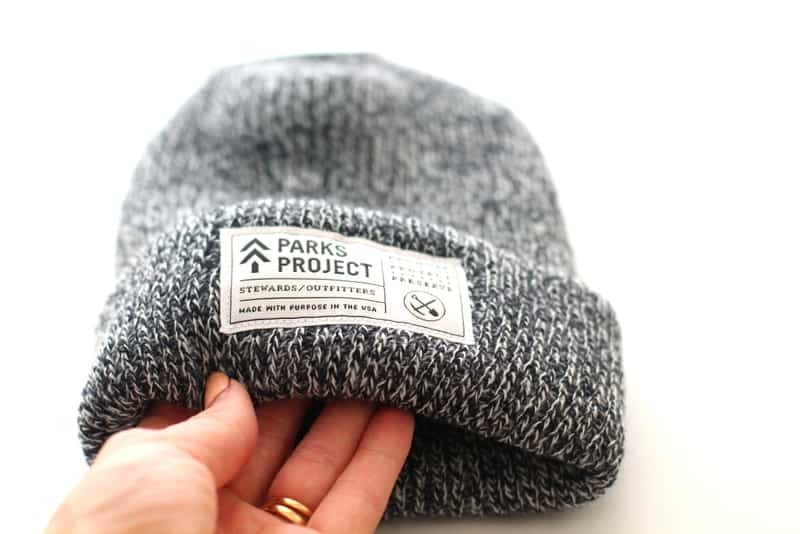 Show your love with any number of gifts available from Parks Project, an organization that gives to habitat restoration and wildlife conservation projects. I haven’t decided which t-shirt I want yet, but I do know I want one of their beanies! How about you? Do you know other companies or products that are giving back this holiday season? Do share! Would you give any of these gifts? Do tell! J’adore this post! I am happy to learn about the great t-shirts at Parks Project and Sevenly. Thank you! Thank you so much for the mention, Andi!! This is too kind. I am so surprised and grateful. @Kirsten, SO SORRY about spelling your name correctly, I have too many Kristin, Kristen, Kirsten in my life! These all look like wonderful gifts and the fact that they support important causes makes them even better. People now need to be aware of what we are doing to our world and what we need to do to save it and all God’s creatures. Products like these does just that, raise awareness, and I think that is great! The quarterly CauseBox sounds like a great idea. It doesn’t seem too expensive, and I like that $7 goes to charity. These are all great gift ideas on your list. I have to admit– I have not heard of most of them. What a great list. I always try and shop with companies that give back. I consider it when I shop local as well. It’s so important to me. Saving this! I am always looking for non traditional gifts to give friends and family for the holidays. This is a perfect idea. So many great options too. Thank you for sharing. I am so ready for Christmas shopping! I love buying gifts that give back, especially to organizations that help animals and kids. Those two causes always tug my heart because they can’t speak for themselves. The Parks Project gift is really cute and looks comfy! 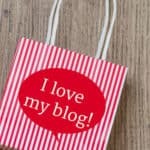 I love this gift guide! Giving gifts that give back and benefit others are the best gifts! Personally, I am interested in checking into the Fire Dept. Coffee! I love giving gifts that give back. It makes me happy. It makes the recipient happy. I’m going to go check out that subscription box right now. This is a great idea. I love this box. What a great way to give back. I love love love this! I do really enjoy Sevenly! I love the influence love shirts! I always like to buy feom companies that support a good cause. I absolutely love companies that focus on giving back. It makes me that much more likely to shop with them and encourage others to. This is what the holiday season is all about! 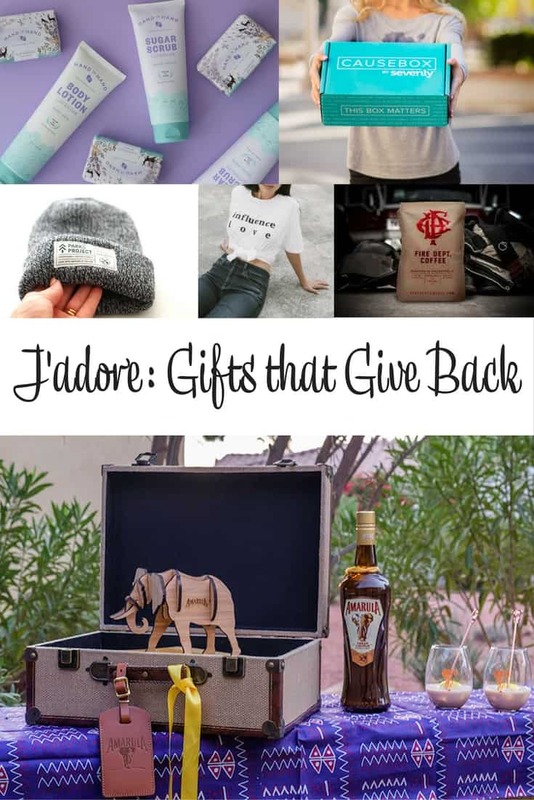 What a fabulous gift guide Andi, I love supporting companies that give back! 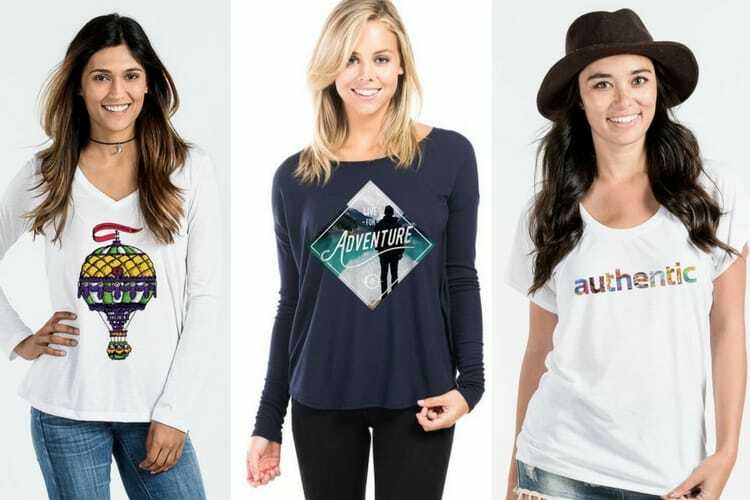 I’m especially loving those tees by Sevenly. One of my new favorite companies is Amour Vert, they focus on sustainable fashion sourced and made in the US and plant a tree for every tee sold.